There were 261 press releases posted in the last 24 hours and 153,575 in the last 365 days. Cardiac Catheterization and Coronary Arteriography are procedures for diagnosing cardiovascular issues. 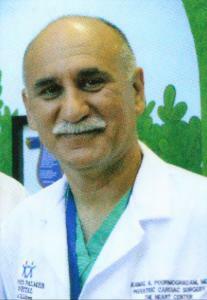 The new article by Dr. Kamal Pourmoghadam explains. For those who do not know, cardiovascular disease is an umbrella term used for all the conditions that affect the heart and blood vessels. In the field of medical science, it is not uncommon to see newer diagnostic and treatment procedures replacing the old ones. However, when it comes to the field of cardiology, some of the very old processes are still being used to diagnose and treat different heart conditions because of their effectiveness - cardiac catheterization and coronary arteriography (also called coronary angiography) are among them. Developed during the 20th century, cardiac catheterization and coronary arteriography are semi-invasive methods that are used to examine the human heart and coronary arteries (arteries that supply blood to the heart) without performing a surgery. While the doctor can sometimes choose to treat the disease while performing the procedure, depending on the patient’s condition and the severity of the disease, the procedures are mainly used for diagnostic purposes. Cardiac catheterization is one of the most widely used methods to identify birth defects and tumors in human heart. It is also used to measure the cardiac output i.e. the amount of blood pumped by the heart in a minute. It is the only available method that can directly measure the pressure of blood in the blood vessel that connects heart to the lungs as well as in each chamber of the heart. How Cardiac Catheterization Is Performed? The process of cardiac catheterization involves inserting a thin catheter (a hollow and flexible plastic tube) into a large blood vessel in the upper thigh or groin area, arm or the neck of the patient. This is done by making a small incision. After the catheter is inserted into the artery or vein, it is threaded through the blood vessel to the heart. Depending on the requirements, different types of instruments are placed on the tip of the catheter that can help the doctor to view the blood vessels from inside, measure blood pressure in heart chambers and in the coronary artery, and to take a blood or tissue sample from inside the heart. * Angiography – To inert a dye into the blood vessel to identify any blockages, which can be seen on X-rays. As evident from the name, coronary arteriography, also called coronary angiography, is the procedure performed to examine coronary arteries. It is generally performed along with the cardiac catheterization to make sure any lingering heart issues can be identified. The procedure to perform coronary angiography is almost similar to that of cardiac catheterization. The only difference is that the catheter is threaded to the coronary arteries and not to the heart. Once the catheter reaches into the coronary arteries, a dye (called radiopaque contrast agent) is injected through it. As the dye enters into the arteries, their outline appears on a video screen through which the doctor is monitoring the procedure. The images are recorded and are later used to detect any blockages and spasms that may have developed in the coronary arteries and have been affecting the functioning of heart. Depending on the location and severity of the blockage(s), the doctor will determine the right treatment procedure – angioplasty and bypass surgery are the procedures used to remove blockage(s) from the coronary arteries. Early detection of heart problems can greatly improve the effectiveness of various treatments, which can then reduce the number of deaths caused by the cardiovascular diseases. Cardiac catheterization and coronary arteriography are among the most effective ways for diagnosis of heart problems. This is why they have been widely used all over the world, for over 80 years, explains Dr. Pourmoghadam. 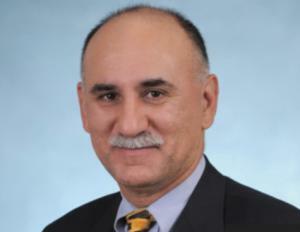 Dr. Pourmoghadam earned his bachelor’s degree from University of California, Berkeley, and his medical degree from Albany Medical College in New York. 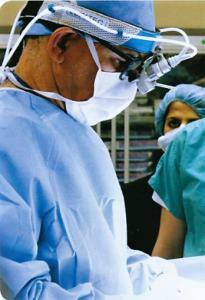 He trained for adult cardiac surgery at the University of Miami, Jackson Memorial Hospital in Miami, and for congenital cardiac surgery at the University of Washington, Seattle Children’s Hospital in Seattle. 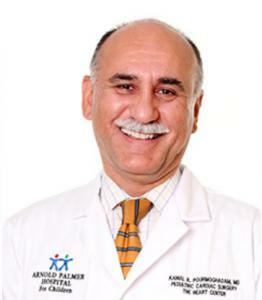 Dr. Pourmoghadam is a professor of surgery at the University of Central Florida College of Medicine, practicing congenital cardiac surgery for over twenty years and has been active in clinical research. He has extensive experience in neonatal and infant cardiac surgery and has special interest in the repair of single ventricle physiology patients and research in univentricular hearts.